Reports claim Sheldon Adelson will help finance US Embassy's move to Jerusalem. White House, Adelson, refuse to comment. The Trump administration is considering an offer from billionaire business magnate and philanthropist Sheldon Adelson to pay for part of the US Embassy's move to Jerusalem, The Associated Press reported. The report noted that the US State Department is investigating whether private donations may be accepted for the purpose. 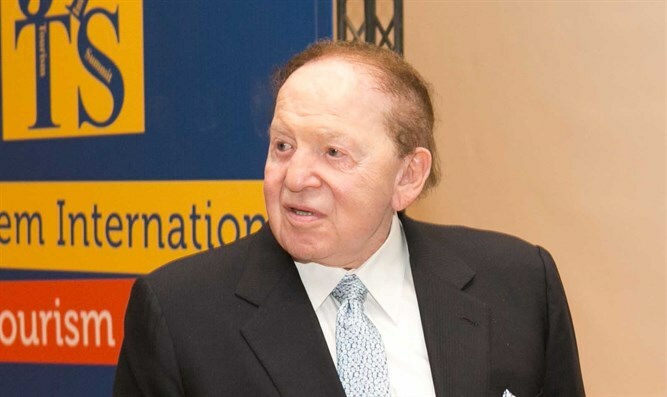 Adelson made his offer in December 2017, shortly after US President Donald Trump officially recognized Jerusalem as Israel's capital and promised to move the Embassy there. On Thursday, US Secretary of State Rex Tillerson signed a security plan for moving the US Embassy from its current location in Tel Aviv to Jerusalem, anonymous officials reported. Adelson donated $5 million to US President Donald Trump's inaugural committee, and he is one of the Republican party's largest donors. Adelson finances the Hebrew-language daily freebie, Israel Hayom, which continuously ranks as Israel's most popular paper. Both the White House and Adelson declined to comment on the report. And the State Department said it had "nothing to announce" and "no confirmation or details" about whether Adelson would finance the move.